DIY or Die Techshop: The Best Do-It-Yourself Auto Repair Rental Shop, where you can rent a car lift, tools, and workstation. Save money! Have Fun! Learn something new! and fix or modify your car yourself! We will have 7 lifts with full tool sets available 7 days a week! 7 Lifts including tools. Professionally staffed DIY auto repair shop. What do you want to work on?ek! We will be offering tech classes and seminars, as well as special events. Do it yourself auto repair shop in San Jose. Give us a call to sign up and schedule time and reserve an auto repair bay and workstation to work on your own car or truck at DIY or Die Techshop. 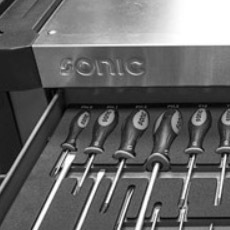 Enjoy our fully stocked tool boxes with #sonictools (SAE and metric tools). We have a full ala carte menu of specialty and diagnostic tools to allow you to fix or service almost any vehicle. We are the most equipped DIY auto shop in the bay area. We are the only auto repair rental shop with certified ASE Master Technicians with factory training present to help you get through rough spots and difficult situations. Do you need parts? You can pre-order parts through us at wholesale prices and have them waiting for you before you begin working on your car. 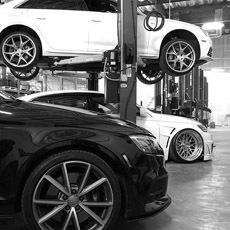 Most parts can also be delivered on site within 1 hour while you are working on your car.